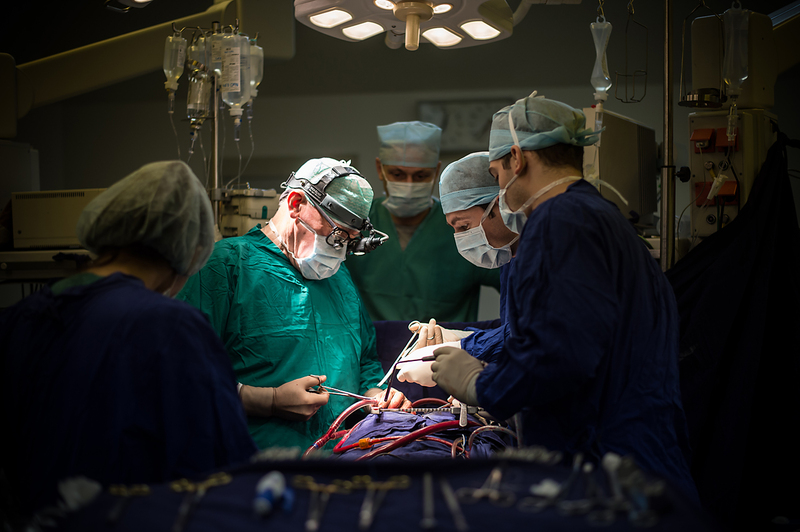 Leo Bokeriya, cardiac surgeon, academician and director of the Bakulev Scientific Center of Cardiovascular Surgery, during a surgical operation. By Russia President Vladimir Putin's executive order, Bokeriya has been awarded with the Order of Alexander Nevsky. An increasing number of foreigners are seeking treatment in Russia, says an advisor to the health ministry. Four times as many non-Russians came to the country for medical help in 2015 than in 2014. For treatment to Russia: That is an increasing refrain among foreigners. Igor Lanskoi, advisor to the Russian health minister, said the number of foreigners coming to the country as medical tourists is on the rise, and has brought the state billions of rubles in extra revenue. Lanskoi was speaking on the issue of the growing number of foreigners coming to Russia for medical treatment in an interview with the business daily Kommersant. He said such travellers added from 7 to 10 billion rubles ($108-154 million) last year to the state exchequer. Health Minister Veronika Skvortsova said that in 2015, the number of foreigners who underwent treatment in Russia increased fourfold compared to 2014. Earlier, only citizens from the former Soviet republics would come to Russia for medical treatment but Americans are also becoming more interested in Russian treatments now, said David Melik-Guseinov, director of the Federal Research Institute for Health Organization. "Citizens of neighbouring countries, CIS countries, come to Russia. That is the way it was historically, back in the Soviet times: the best medicine was concentrated in Moscow. But lately, foreigners from faraway countries have also been coming to Russia,” he said, adding that he had seen “several Americans” at the Federal Centre for Orthopaedics and Traumatology in the city of Kurgan (1,080 miles east of Moscow). “I was amazed to hear people speak English, not in some special expat clinic in Moscow, but in an ordinary hospital. Perhaps the level of service is lagging behind in some areas, but from the viewpoint of clinical treatment, the quality of medical assistance in our institutes is just as good. That is why people choose places that are cheaper - they're more advantageous," said Melik-Guseinov. Specialists surveyed by Kommersant FM underlined that the foreign demand for Russian medicine is growing because of the weak ruble. Treatment and the accompanying services in the country are now four times as cheap as they are in the West, said Yakov Margolin, general director of the Clinical Hospital in Yauza. “When someone wants to undergo treatment in his own country but his insurance doesn't cover it, he gets angry and chooses to come to Russia since here he can receive the same medical services at a much lower price, especially outside Moscow. We have unique services for which people come to us, services in reproductive medicine, in which for relatively little money we solve serious problems, helping people to have children," explained Margolin. However, representatives of Russian sanatoriums interviewed by the Kommersant FM radio station complained that, unlike clinics, they have not seen an increase in the number of foreign guests. Such institutions just do not have enough good advertising, said Galina Nazarova, vice president of the Central Council for Tourism and Recreation. "We don't have foreigners, except people from Azerbaijan and from our former republics, who have traditionally come to Kislovodsk [850 miles south of Moscow]. They love Mineralnye Vody [830 miles south of Moscow] and are very happy to go there for treatments. But in Sochi [845 miles south of Moscow], as well as in the Moscow suburbs, we haven't seen any foreigners,” said Nazarova. She added that “when things calm down” in Crimea, it would be possible to get good treatment on the peninsula: “When things are resolved, I think people will really want to go there,” she said. In the latest ranking, conducted by Visa, of the most attractive countries for medical tourism Russia was ranked 34th of the 41 countries listed. The top three positions have for many years now been dominated by Canada, the UK and Israel.